Monday Morning Place Kicker: Seahawks cruise, Eags are legit and an arrest-free WSU week! The Seahawks win, but the victory might cost them. Suddenly, Eastern Washington looks like the team to beat in the Big Sky. The Idaho Vandals won (!) a road game (!) in their last pre-conference showdown, and Washington State University went a week without any more player arrests (at least that we know about). Here's everything you need to know about talking sports around your work watercooler today. Russell Wilson was a little gimpy after injuring his knee Sunday. This is more like it. The Seahawks destroyed the 49ers in Seattle Sunday 38-17 and the score was closer than the game actually was. A couple receivers had 100-yard days, as did running back Christine Michael, and the defense manhandled a weak San Francisco squad. Wilson sat out most of the game after that, and will likely be able to play Sunday against the Jets. He'll probably be drinking a lot of that "miracle water" between now and then. Your go-to line when talking to Seahawks fans today: "The offense sure looked good! Hope Russell is good to go!" The Eags are looking good early in the season. Yes, it's a long season. And yes, the competition is pretty fierce at the top of the Big Sky, every year. 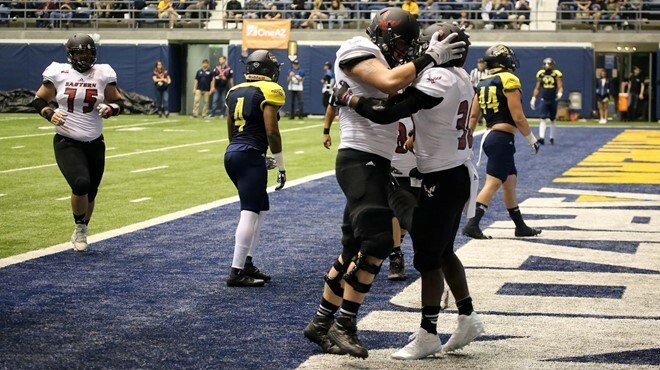 But Eastern Washington went on the road and put a beat down on the team picked to win the conference, taking down Northern Arizona 50-35, after starting the season with upsets of Washington State and Northern Iowa and barely losing to No. 1-ranked, defending national champs North Dakota State. The Eagles are for real, and it's reflected in their Top 5 national ranking. The big story: Quarterback Gage Gubrud continues to deliver, and he tallied nearly 500 yards of total offense against the Lumberjacks on Saturday. Oh, and all-world receiver Cooper Kupp returned after being out with injuries to catch 11 balls for 111 yards. The Eagles play at home against UC-Davis Saturday. Your go-to line when talking to Eagles fans today: "We're going to win the Big Sky! Again!" 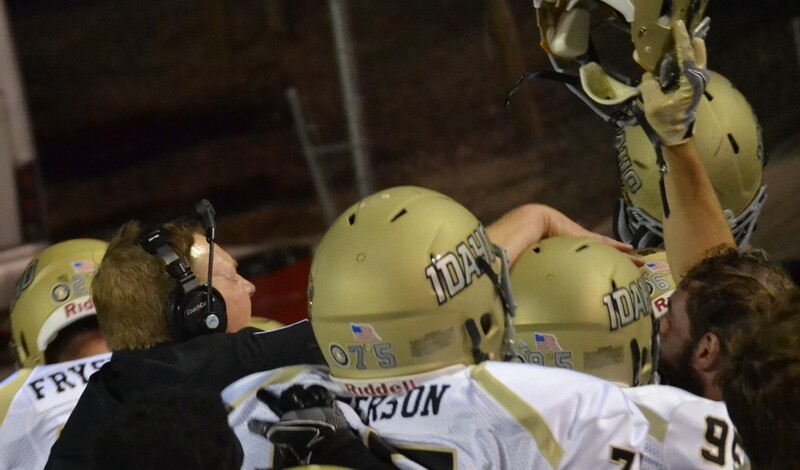 The Vandals might celebrate some more later this season. THE VANDALS WIN! THE VANDALS WIN! Even if you're ready to acknowledge Idaho is not going to be the worst team in the country this year, it's tough to predict they'll ever win a road game. But they did just that Saturday, taking down UNLV 33-30 in overtime in Las Vegas. The big story: At 2-2 heading into their conference season with a game against Troy State Saturday in Moscow, the Vandals are just four wins away from (gulp) a bowl game. The big story: Did I mention it's not beyond the realm of possibility the Vandals get to a bowl game? Your go-to line when talking to Vandals fans today: "Hey, we could go to a bowl game!" Must not have been any good parties on the Palouse this weekend, or the coaches sent all the players out of town for the Cougs bye week. No one was arrested, so let's consider that a win for all of Cougar Nation. Washington State returns to action for their Pac-12 opener against Oregon on Saturday. The big story: Oregon lost to Colorado at home a week after losing to a so-so Nebraska team on the road. This is NOT your typically powerful Ducks team, and if the Cougs can beat them Saturday at the sold-out Pullman stadium, they set themselves up for a potential run at a Pac-12 North title. Your go-to line when talking to Cougs fans today: "Know where I can get some tickets?"